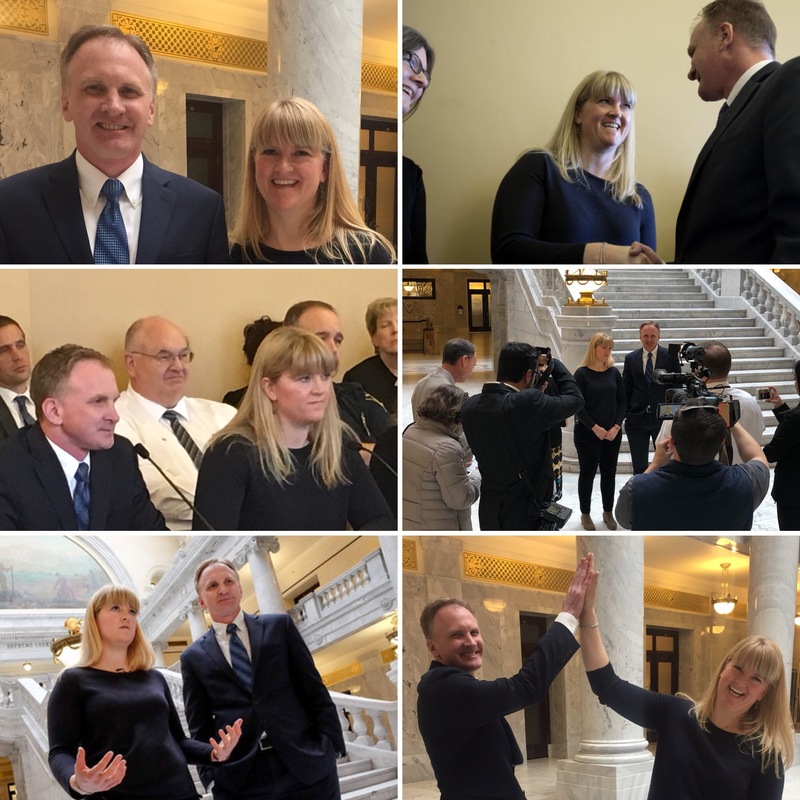 Home > News > 2018 Legislature -Final Summary! Gov. Gary Herbert says he wants to "push pause" on the plan to rename the Utah Transit Authority, but he does support other reforms contained in the bill to overhaul the agency [Deseret News]. Gov. Gary Herbert says he will sign the controversial inland port bill. The final version of that legislation was passed Thursday. [Deseret News]. Rep. Robert Spendlove's bill to expand Medicaid with work requirements and caps on what Utah will spend on the program. It's still up to the Trump administration to grant Utah waivers for the limits on expansion [Deseret News]. 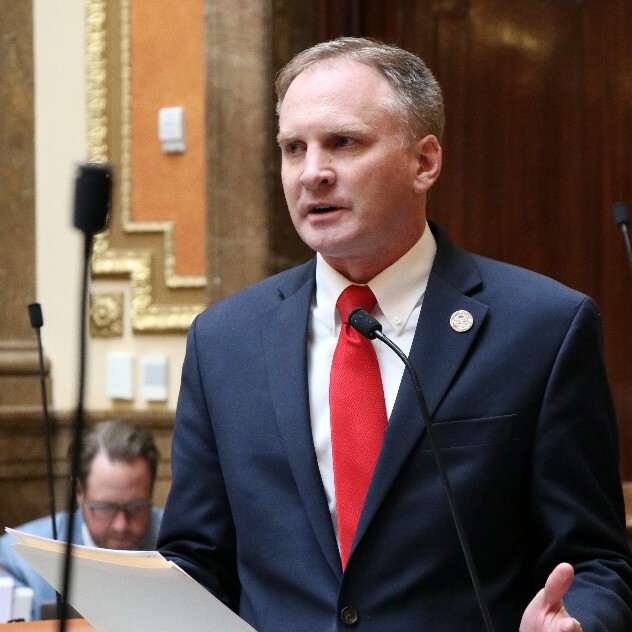 A bill asking the feds to use Medicaid funds to pay for mobile crisis teams of mental health experts passes the Senate and heads to the Governor [Deseret News]. Lawmakers pass a resolution calling on A.G. Sean Reyes to sue the manufacturers of opioids [Deseret News]. 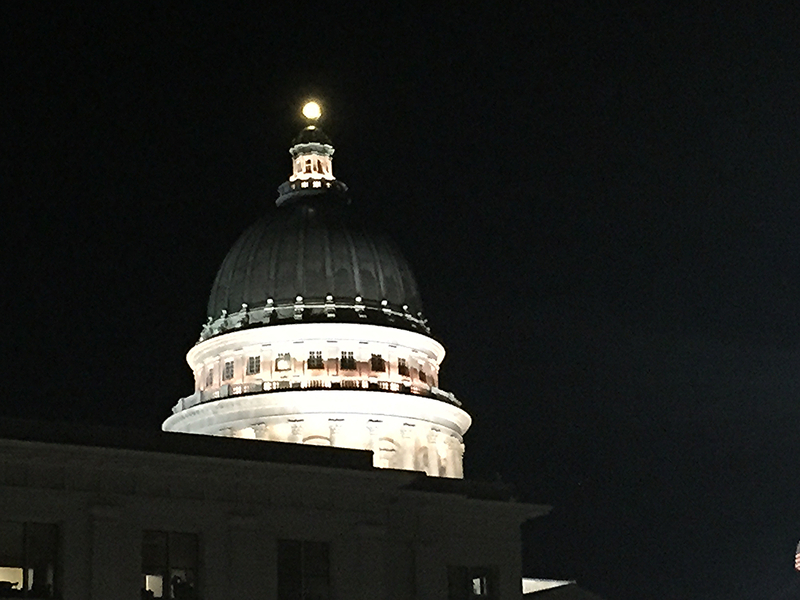 A bill to delay the implementation of any ballot initiatives passed by Utah voters dies in the final hours of the 2018 session. [Deseret News]. I truly appreciate the many voices of support I receive throughout the Session. Thanks so much! 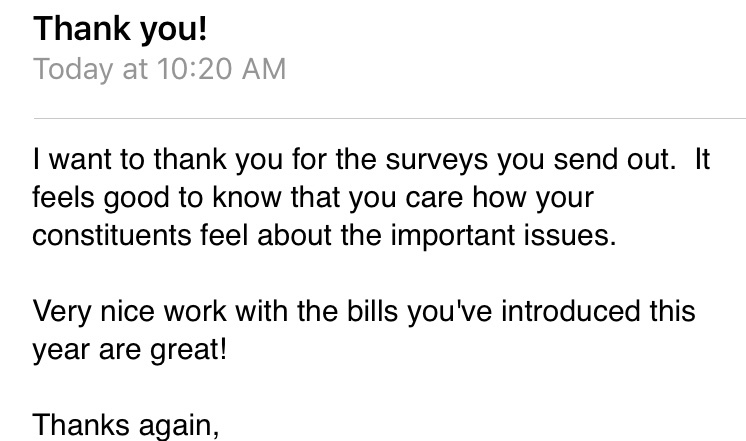 Here is an email I recently received from a constituent within District 33. HB43 - Blood Testing Amendments - PASSED! - I am the chief sponsor of this bill. Passed the House 72-0 and passed the Senate 26-0. HB92 - Utah Vital Statistics Act Amendment - PASSED! - I am the chief sponsor of this bill. Passed the House Health and Human Services Committee 13-0. Passed the floor of the House 74-0 and the floor of the Senate 24-0. This was a bill brought to me by the Utah Health Department. If an out-of-state individual dies in Utah, a Utah death certificate must be issued. However, if that out-of-state family uses an out-of-state funeral home, there have been some difficulties getting the death certificate signed. This bill resolves this issue. HB113 - Candidate Filing Amendments - PASSED! - I am the chief sponsor of this bill. Passed the House 67-0. Passed the Senate 26-0. The bill has already been signed by the Governor. This bill fixes the situation we saw in the race for Congressional District 4 this last fall. One candidate wanted to file for office, but he was in China teaching a class during the filing period. He called the Lt. Gov's office and asked how he could file. He was told he could not file because the statute says he must file "in person." This bill allows an individual who is out of state to file remotely through the use of a audio/video connection. This is a no-brainer bill that provides more access to the ballot. SB28 - Local Government and Limited Purpose Entity - PASSED! - I am the House floor sponsor of this bill. Passed the House 70-3 and the Senate 27-0. There are hundreds of "local government" and "limited purpose" entities (water boards, mosquito abatement boards, etc.) throughout the State. An audit this last year by the State Auditor identified several issues with these entities, including the fact that the State doesn't have a good idea on how many of these entities actually exist. This bill establishes a registry of such entities, and allows the state auditor to withhold certain state funds and property tax disbursements if an entity does not comply with registry requirements. SB38 - Local Elected Officer Amendments - PASSED! - I am the House floor sponsor of this bill. Passed the Senate 27-0. Passed the House 44-27. The State Constitution indicates that mentally incompetent persons cannot hold elective office. However, there is no procedure set forth in statute to remove such a person. This bill sets forth a process to remove a mentally incompetent county official from office. Here's a photo of me presenting this bill on the floor of the House. HB133 - Employment Amendments - PASSED! - I am the chief sponsor of this bill. Passed the House 64-0. Passed the Senate 25-0. This bill expands the State's anti-nepotism laws to include household members. Particularly good bill considering the Gary Ott situation in Salt Lake County this last year. See story here. HB147 - Retirement Forfeiture for Employment Related Offenses - PASSED! - I am the chief sponsor of this bill. Passed the House 66-0. Passed the Senate 28-0. Government employees who commit a crime in the course and scope of their government employment lose retirement benefits starting the inception of their crime. Occasionally, it's not the employer who catches this conduct, but rather an investigation by law enforcement or an audit by an outside agency. 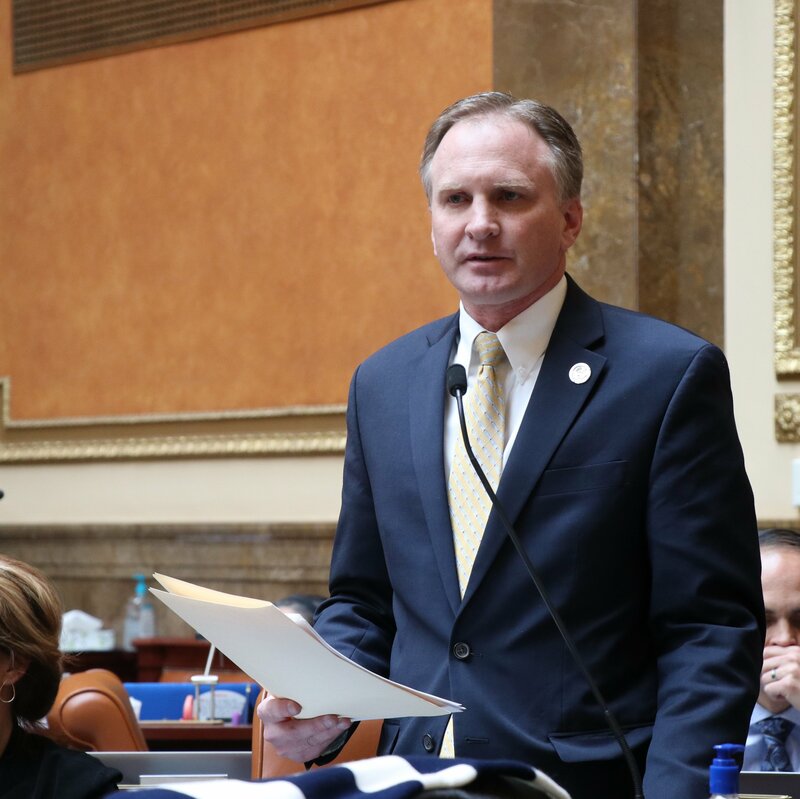 This bill simply makes clear that the outside agency can notify the Utah Retirement System of the employee conduct and participate in any further investigations. SB186 - Indigent Defense Amendments - PASSED! - I am the House floor sponsor of this bill. Passed the Senate 22-0. Passed the House 70-0. 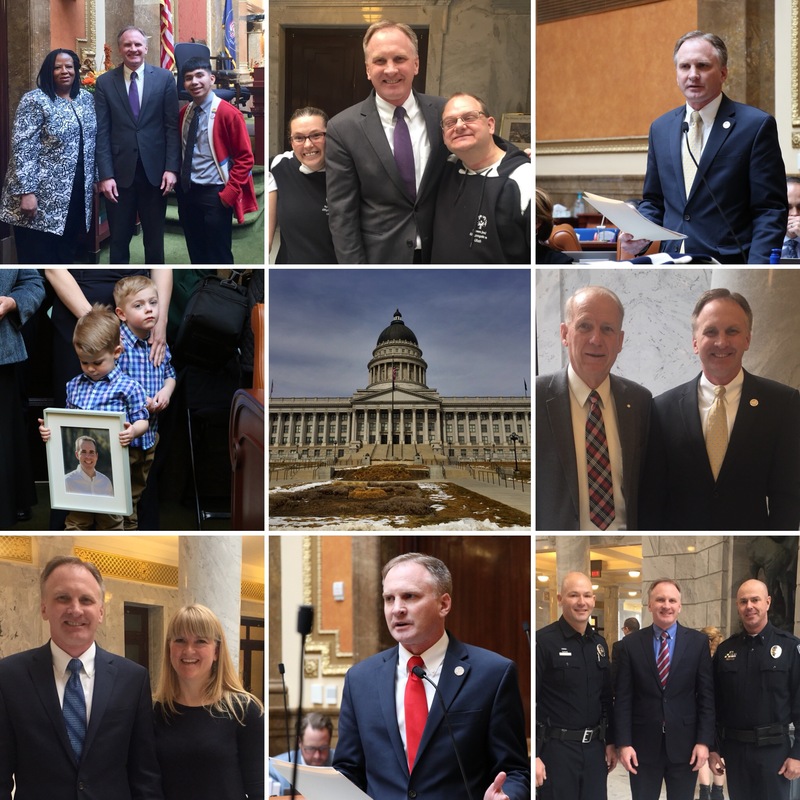 The Indigent Defense Commission ensures that Utah complies with its obligation under the U.S. and State Constitutions to provide a competent legal defense to indigent defendants. This bill was a cleanup of the original statute passed in 2016 and expands the scope of what the Commission can oversee and for what it can expend funds. HJR9 - Proposal to Amend Utah Constitution - Unreasonable Searches and Seizures - Did not pass. I am the chief sponsor of this bill. In addition to the federal Constitution, the Utah Constitution protects "persons, houses, papers and effects" from unreasonable searches and seizures. My proposed constitutional amendment would specifically add the same protection for "electronic data and communications." It would simply ensure that such information is protected unless law enforcement shows probable cause and obtains a warrant. We have held three Town Hall meetings so far this year (January 27, February 6 and February 24). Thanks to those who attended!. We stayed to work on bills until 12:00 midnight on March 8. This is a photo of the Capitol at 1:30 a.m. after I left the Capitol. It has truly been an honor to represent District 33. Thank you for the opportunity!